I've Got Great Designs in Fusion 360! But How Do I Find Them? A valve housing I built, I'd hate to lose this! But the most stunning Fusion 360 file in the history of stunning Fusion 360 files does no good if you're not able to locate it in the sea of slightly less stunning Fusion 360 files. As I've started accumulating models, I found myself thinking; "How to I find a given file as I create more designs?" or, "What happens, if I misplace one?!?" I haven't yet misplaced a file yet. But it will happen some day, and I'll have to make sure I can find it again when I do. Thus, I was led to the Data Management side of Fusion 360, to try a little simple searching. The first thing I had to do was log into my A360 hub here. That opens up the A360 hub, where I was greeted with a list of the projects I've created over my time using Fusion 360. From there, it was a fairly simple matter of locating the search icon, typing in a file name, and letting the search tools do their job. In my case, I picked a valve housing I had worked on. When the file opened in my dashboard, I could see a thumbnail, what other designs this housing used, and where this file was used. In my case, I'm not yet using this design elsewhere. I can also access drawings created from this part. Now there's quite a bit that can be done from this screen, so I'm not going to go into it all in this post. I'd be typing forever! But I will point out two icons that are well worth looking at. The first, is the View icon, which will open up the file in a viewer, the other is the Edit icon, which will open the file in Fusion 360 desktop, and the browser if available. Just these functions alone helped as I was exploring alone, and there are more functions in the viewer. But like I said, I'm going to save those for later! It's getting late, and I have to sleep sometime. 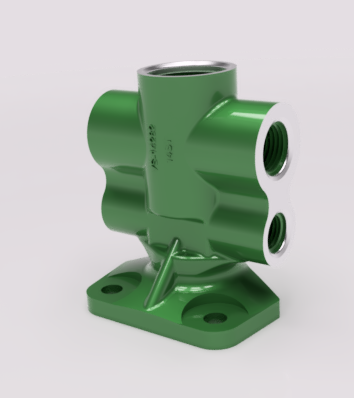 But remember to take advantage of the hub if you're using Fusion 360! I think it'll help you out!